All organizations regard their stores of data as one of their most valuable asset. There is an immense need to manage and maintain the data as it is used to help achieve business goals and CRM. The key data is used to make informed decisions and increase operational efficiencies of the organization. The changes in data need to be delivered to people and processes need to act upon them, this is possible only if right data ware housing infrastructure is in place. Other tools extensively used for data warehousing projects by our consultants are Informatica, Data Stage, Hyperion, Cognos and Crystal Reports. 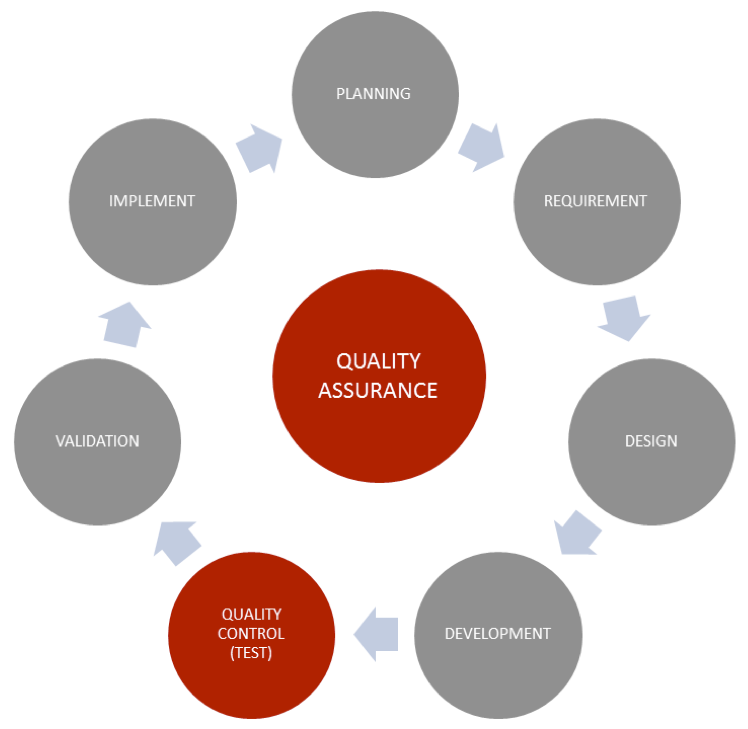 Two key principles characterize QA: "fit for purpose" (the product should be suitable for the intended purpose) and "right first time" (mistakes should be eliminated).Software quality assurance (SQA) consists of a means of monitoring the software engineering processes and methods used to ensure quality. The methods by which this is accomplished are many and varied, and may include ensuring conformance to one or more standards, such as ISO 9000 or CMMI. SQA encompasses the entire software development process, which includes processes such as software design, coding, source code control, code reviews, change management, configuration management and release management. 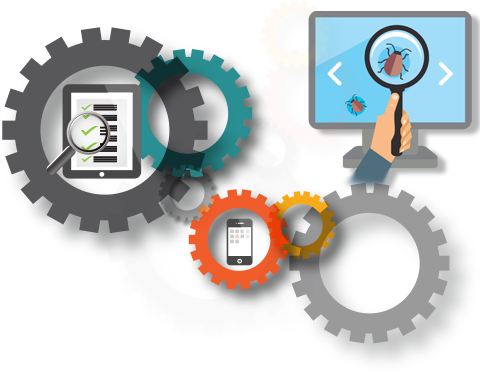 USG can provide a full software testing solution from test plan development to execution. Our software testing consultants have expertise in complete Quality Life Cycle Management from inception, integration, execution to release management. 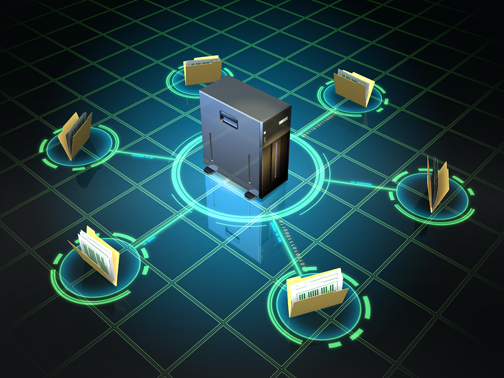 To manage and store large volume of information a database may be beneficial for your business. It helps to store new information, to run search facilities, to generate regular reports based on a real-time selection of data. USG is experienced in developing a wide variety of databases. USG can deliver custom designed database applications using a wide variety of tools, techniques and programming languages including MS Access, ADP, VB, SQL Server, MySQL, Oracle and Ingres and can advise you on the most appropriate techniques to suit your database needs. It is popular for web applications and acts as the database component of LAMP, MAMP, WAMP platforms and for open-source bug tracking tools like Bugzilla. 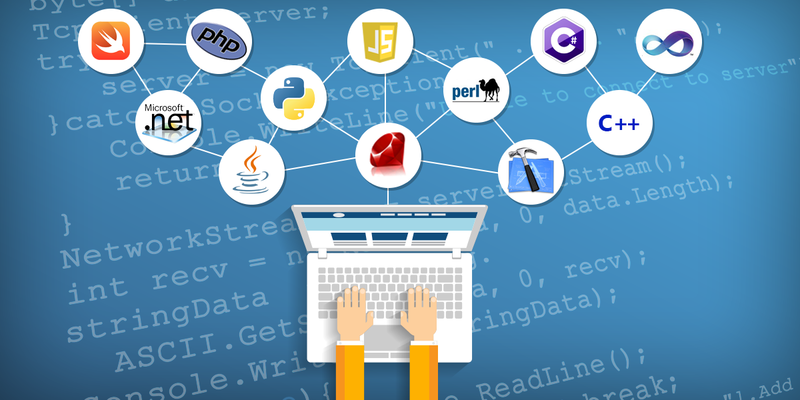 Its popularity for usage with web applications is closely tied to the popularity of PHP and Ruby on Rails, running popular content management systems such as Joomla, WordPress and Drupal. It is one of the popular RDBMS, designed for data creation, maintenance and reports. It is been widely used back end tool for web developments. Also its known as stand alone application tool for any database management, web development. It is a RDBMS produced by Microsoft, its primary query language is Transact-SQL, an implementation of the ANSI/ISO standard SQL used by both Microsoft and Sybase. DB2 is a family of RDBMS products from IBM that serve a number of different operating system platforms. According to IBM, DB2 leads in terms of database market share and performance. It is Pervasive Software's relational database product, designed for embedded database installations where the DBMS is distributed as part of an application software package, PSQL provides both relational and transactional access to data. Data Flex is a relational, 4GL Object Oriented database programming language. A database programming language and relational database system (RDBMS) such as Data Flex simplifies these concepts by providing features that automatically perform the mundane drudgery of moving data around and validating its correctness. Query languages are computer languages used to make queries into database and information systems. ISBL, SQL, LDAP, MDX, OCL, TMQL, XQuery, XPath, XSQL are some examples of query languages. A markup language is a set of annotations to text that describe how it is to be structured, laid out, or formatted. Markup languages might be manuscript form (often marks among or alongside text describing required formatting or binding), or they might be markup codes used in computer typesetting and word-processing systems. The former are also commonly used to describe the required layout of papers, articles, standards, or books. Scribe, GML, HTML, XML, XTML, RDF, OWL and ColdFusion are some well known example of Markup Languages. A scripting language, script language or extension language is a programming language that allows some control of a single or many software application(s). Languages chosen for scripting purposes are often much higher-level than the language used by the host application. Shell Script, GUI Script, Unix Shell, HTML, AJAX, Java, XML, JSP, ASP are well known example of scripting language. In the function-level style of programming, a program is built directly from programs that are given at the outset, by combining them with program-forming operations or functionals. Lisp is a well known functional level language. 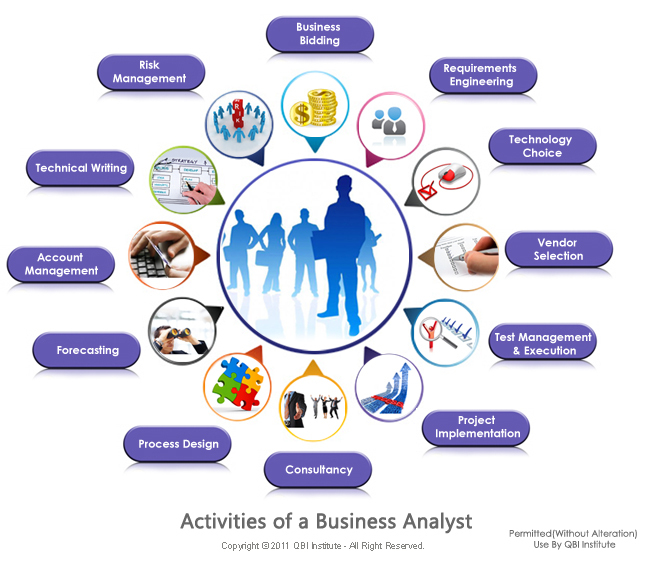 Business analysis is the set of tasks, knowledge, and techniques required to identify business needs and determine solutions to business problems. Solutions often include a systems development component, but may also consist of process improvement or organizational change. The person who carries out this task is called a business analyst. 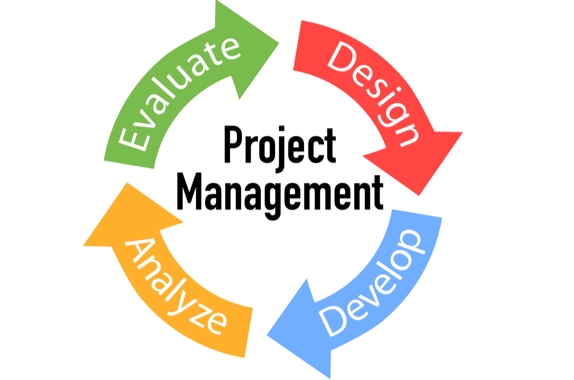 Project management is the discipline of planning, organizing and managing resources to bring about the successful completion of specific project goals and objectives. There are several approaches that can be taken to managing project activities including agile, interactive, incremental, and phased approaches. Enterprise resource planning (ERP) is a company-wide computer software system used to manage and coordinate all the resources, information, and functions of a business from shared data stores. An ERP system has service oriented architecture with modular hardware and software units or "services" that communicate on a LAN. The modular design allows a business to add or reconfigure modules (perhaps from different vendors) while preserving data integrity in one shared database that may be centralized or distributed. 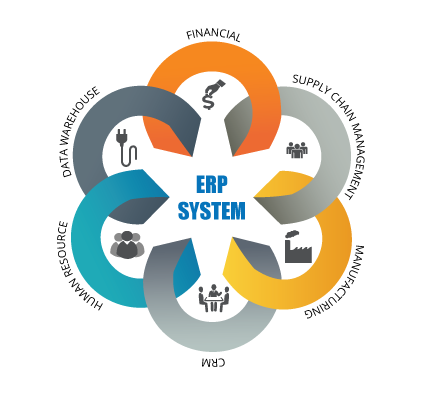 Ideally, ERP delivers a single database that contains all data for the software modules, which would include: Manufacturing, Supply Chain Management (SCM), Financials, Human Resource Management (HRM), Project Management, Customer Relationship Management (CRM). Maximo, JD Edwards EnterpriseOne, Oracle e-Business Suite, PeopleSoft, SAP R/3, mySAP, Microsoft Dynamics AX, Microsoft Dynamics GP, NetERP are well known ERP softwares. A software development process is a structure imposed on the development of a software product. Synonyms include software life cycle and software process. There are several models for such processes, each describing approaches to a variety of tasks or activities that take place during the process. Systems Development Life Cycle (SDLC) is any logical process used by a systems analyst to develop an information system, including requirements, validation, training and user ownership. A SDLC should result in a high quality system that meets or exceeds customer expectations, reaches completion within time and cost estimates, works effectively and efficiently. Some well known SDLC models to manage the complexity in traditional systems are waterfall, fountain, spiral, build and fix, rapid prototyping, incremental, synchronize and stabilize. USG consultants are trained well with all traditional and latest SDLC methodologies to meet the clients need on time with quality.